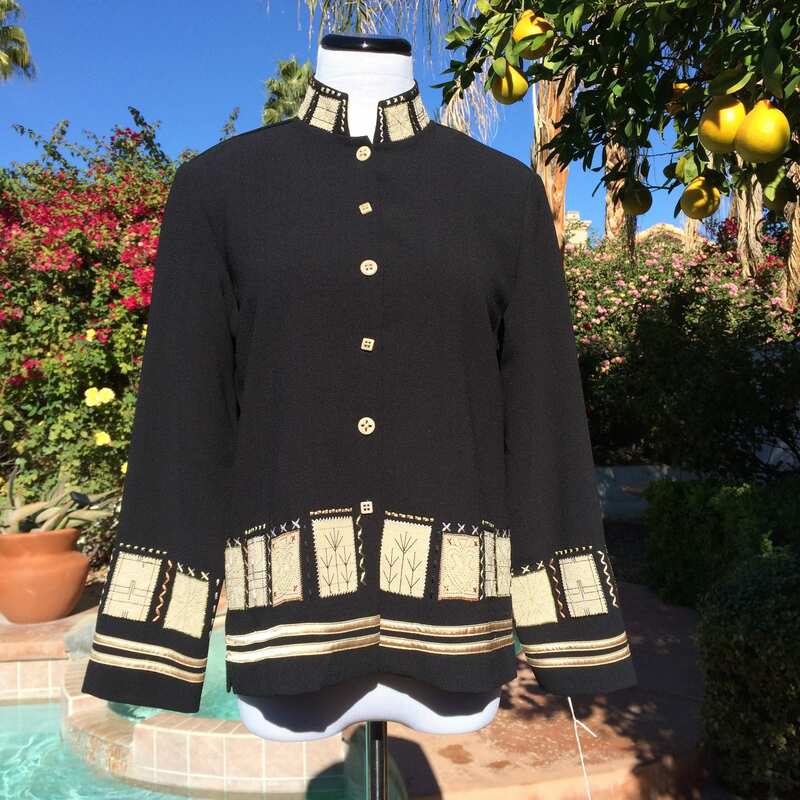 Drapers & Damon's 90's Black Sweater/Jacket with Creme and Gold accents,Size PXS. 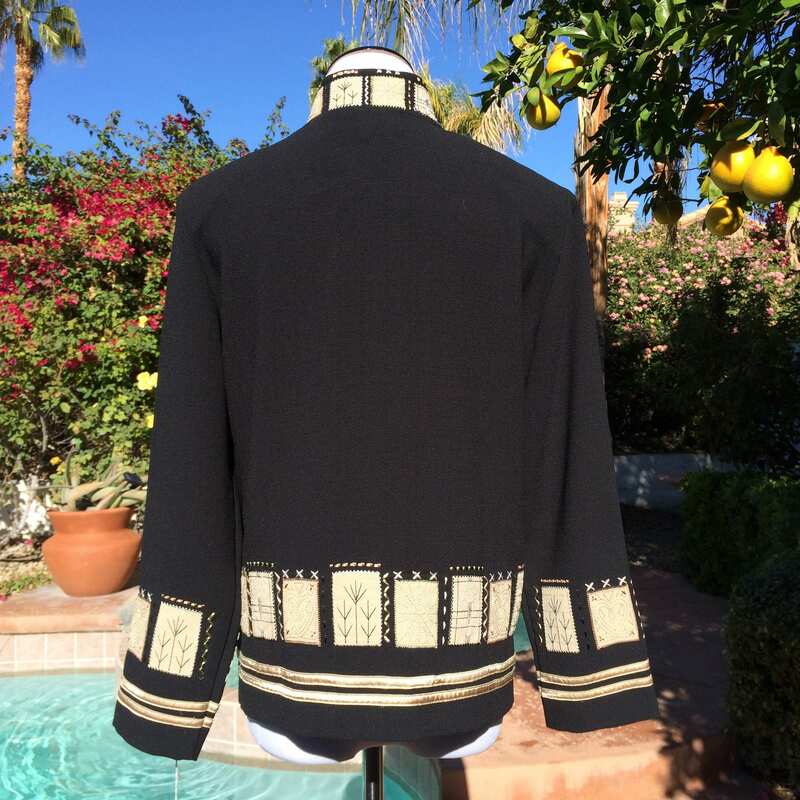 Drapers & Damon's Black Sweater/Jacket with Creme and Gold accents,Size PXS. 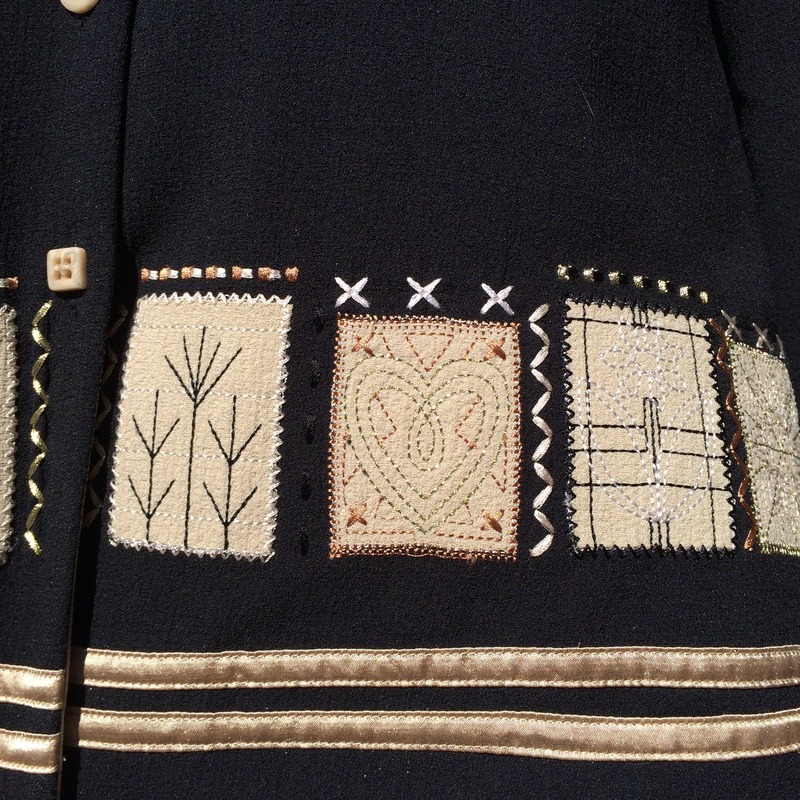 This is a beautifully made sweater/jacket with interesting detail work on the Nehru collar,at the bottom of jacket and gold sating stripes at the bottom. 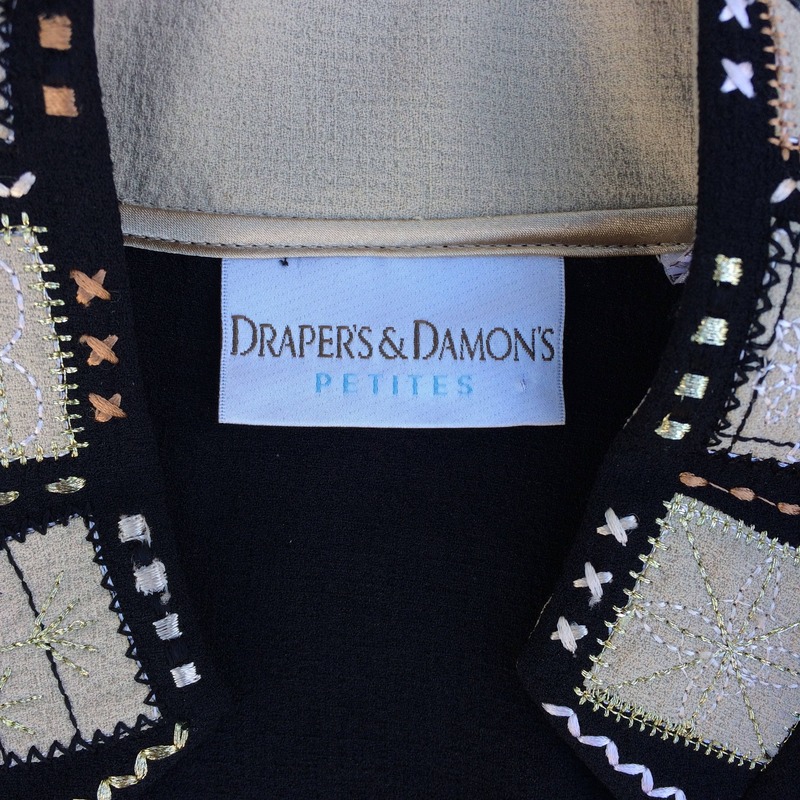 The label reads Draper's & Damon's Petites,Size PXS. 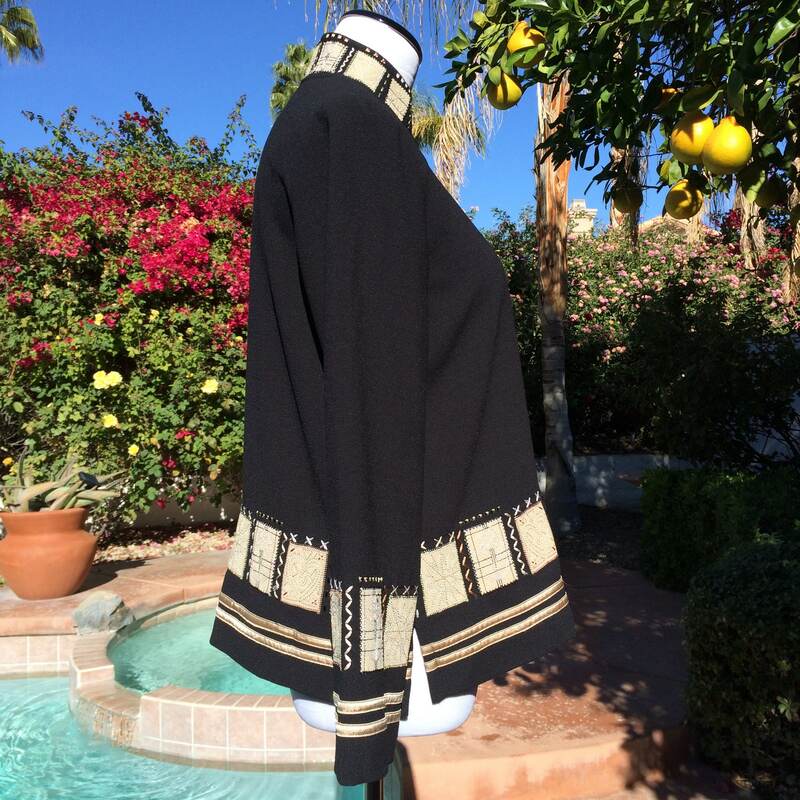 It is in very good/excellent vintage condition. Sleeve from shoulder seam 22in. 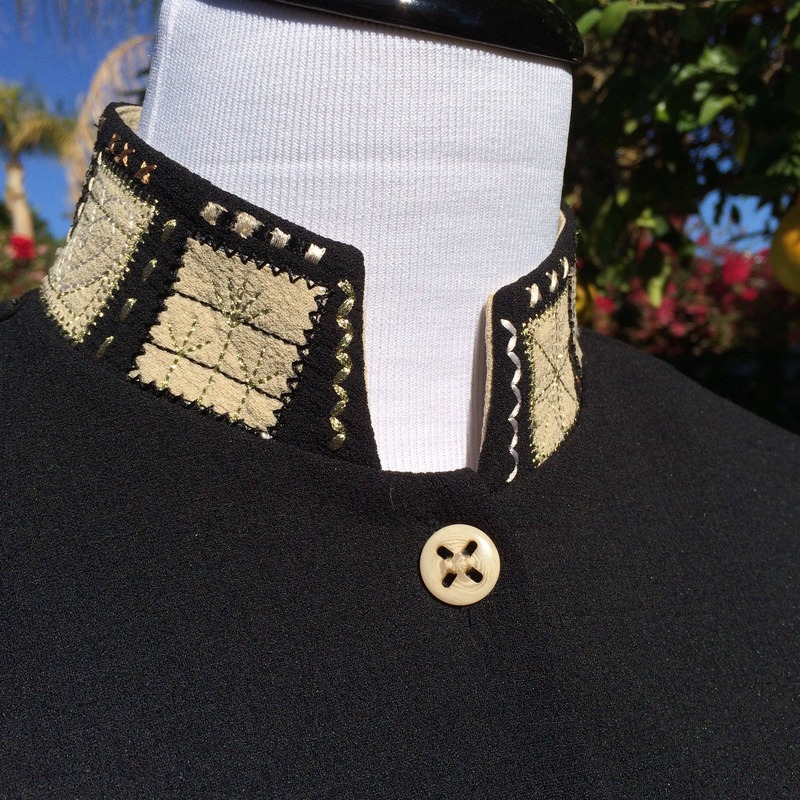 Length from shoulder seam 23in.